The Poetry Problem - Amherst / Purple Planet / Peg's Pizza Place / Mega Mall. 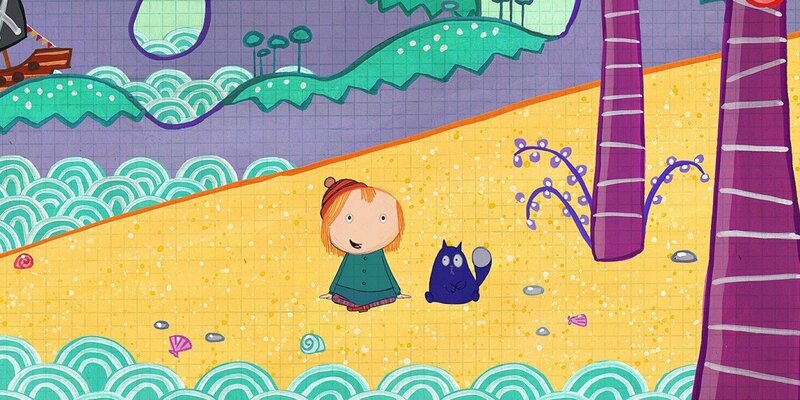 Peg and Cat lead Emily Dickinson far and wide in search of a rhyming pattern for her new poem. Primary Content: Patterns Secondary Content: One thousand Art Museum. The Disappearing Art Problem - It's a nightmare for art museum guards Peg and Cat: Shapes are being stolen right off the paintings! Primary Content: Identifying flat shapes Secondary Content: Assembling shapes to make new shapes.